ATLANTIC CITY – February 20, 2018 – Boxing in Atlantic City has been prevalent for more than 45 years. One man who has been in the center of a lot of the action on the boardwalk has been International Boxing and Atlantic City Boxing Hall-of-Fame promoter and matchmaker J Russell Peltz. The Philadelphia legend, who has promoted scores of cards in the shore town, is making matches for the February 24 card at The Showboat Hotel that will feature Thomas “Cornflake” LaManna vs. Gabriel “Tito” Bracero in a 10-round battle for the WBC Fecarbox Welterweight championship. 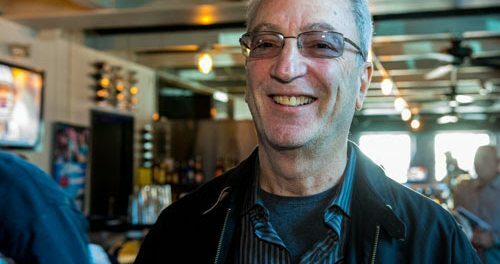 “I did my first fight in 1973,” said Peltz, who has run shows in just about every property in Atlantic City. It is only fitting that Peltz is the matchmaker with promoter Rising Star Promotions in the South Jersey based promotional outfit’s effort to bring Atlantic City back to prominence as the the premier fight destination on the East Coast. “The fight was televised by local cable channel PRISM (Jim Barniak and Bob Wright, both deceased, did the commentary) and it was for Fletcher’s USBA middleweight title. “This was the most brutal fight I ever saw, even more brutal than Matthew Saad Muhammad-Marvin Johnson I. This was a closet classic since few saw it on PRISM. The fight was toe-to-toe for seven rounds, no knockdowns, until ringside doctor stopped it between the seventh and eighth round. They coukd have fought this one in a phone booth. “Singletary was taken to hospital after fight. “Later, when we couldn’t find Fletcher, we broke into his hotel room, and he was out cold on the floor. We couldn’t get an ambulance so we (Marty Feldman and I) put him in the back of a police wagon and rode with him to the hospital where the doctor told us if we hadn’t found him he would have been dead. Besides LaManna vs. Bracero, a terrific undercard has been assembled featuring undefeated fighters: light-heavyweight Frederick Julan (8-0, 6 KOs), of Brooklyn, NY; super middleweight Darren Goodall (5-0, 4 KOs), of New Milford, NJ; middleweight Omar Kabary Salem (1-0), of Brooklyn, NY; super lightweight Jahmal Dyer (4-0, 2 KOs), of Baltimore, MD.